This outfit creates perfect image of Forest Queen together with long coat. Belt and necklace are not included to the price. We use only natural fabrics for manufacturing. 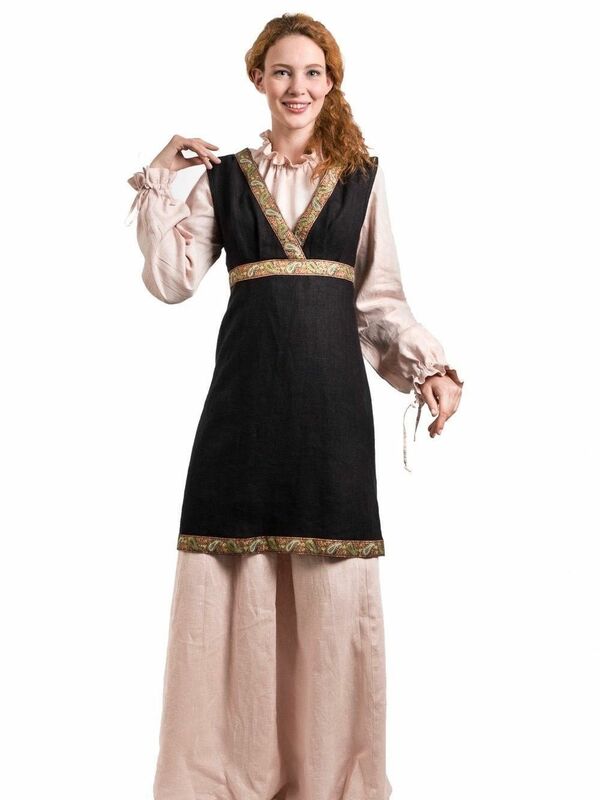 This fully authentic European dress kirtle was popular in Western Europe since the beginning of the 15th century. It is based on the original historical patterns. All kirtles in different regions of Europe had a few differences and were like each other. 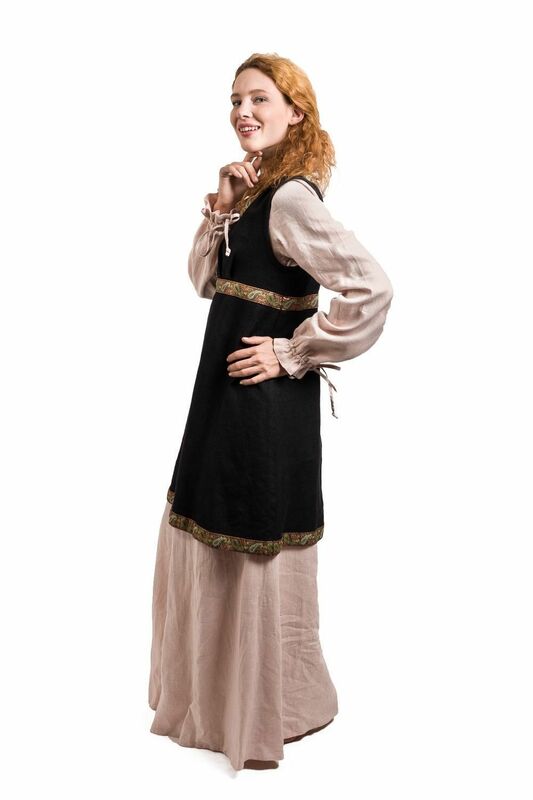 Our kirtle is Flemish model. 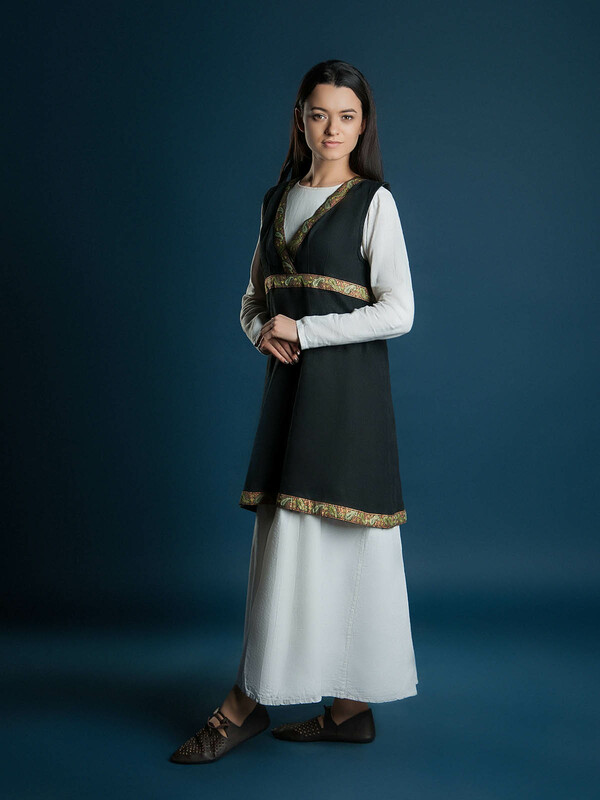 It has typical neck cut, the style of sleeves and lacing. 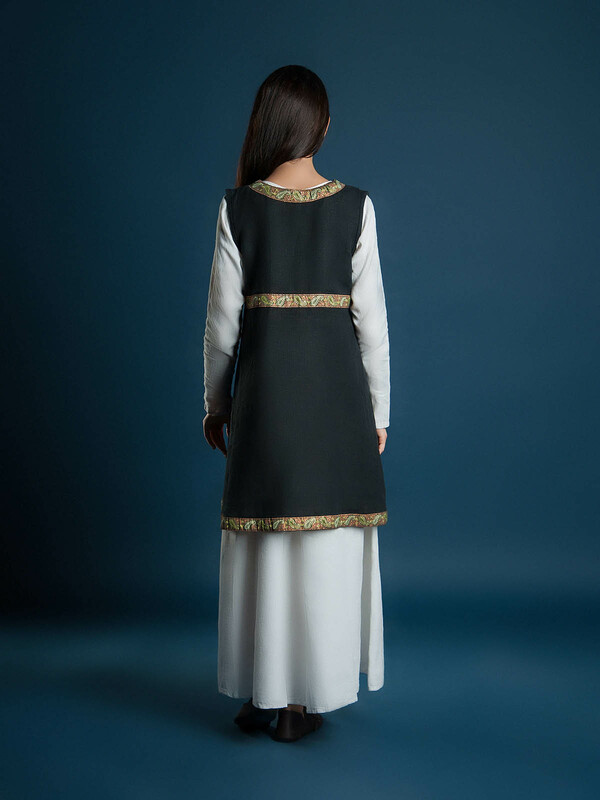 Dress is completely hand-made and custom-tailored (according to measures of cusrtomer). All eyelets for lacing are sewn by hand. 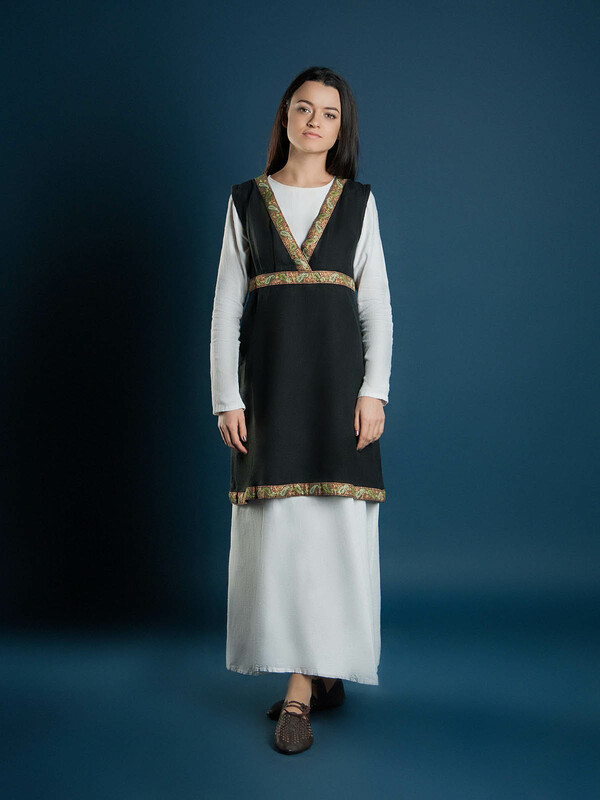 The price includes the top linen dress (with lining in the breast part) with jacquard detachable sleeves of the same or contrast colour. You can order several sets of sleeves in different colours for additional price to make your garb different. If you want lining for skirt of dress, please choose it in options. Main colour of dress is available in options. 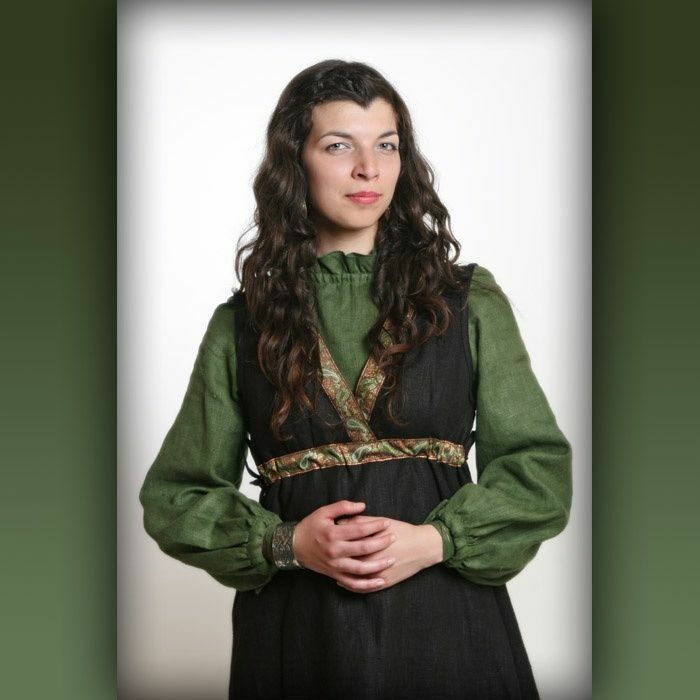 Colour of sleeves and lining, please send us to [email protected] We recommend to wear this beautiful outfit over the underdress of the XV century or over such unde..
Florentine dress of the beginning of the 16th century. This dress was reconstructed from graphic sources - paintings of Raphael (Raffaello Santi, Raffaello Sanzio; 1483-1520) - "Young woman with a unicorn", and other Italian painters. It is based on original patterns. 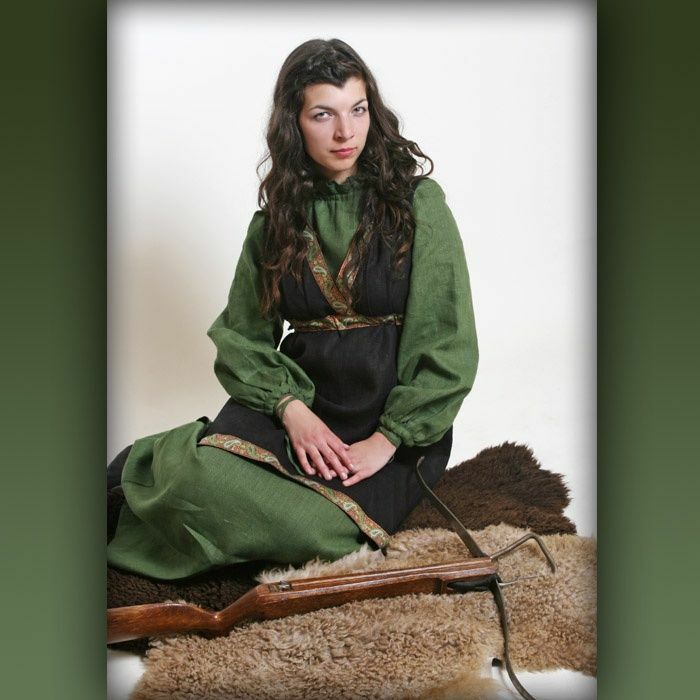 This woman garb consists of cotton chemise and top dress. The dress is made of jacquard and is decorated with velvet. The lacing from the sides is provided for better size adjustment. The sleeves are detachable. They are made of jacquard and has cotton lining. The price includes: - top dress with cotton lining in corset part - velvet belt - undershirt of thin cotton This costume is very comfortable and beautiful. It is really delightful dress for masquerade, fancy-dress balls and medieval events. ..
Landsknecht's life was often short. Every effort was made to compensate this with women, wine, bright clothing and the cost of hiring. Clothing of landsknechts struck by the wealth and ornaments. This landsknecht costume consists of 5 elements: - Beret made of 2-color wool fabric with linen lining. - Linen undershirt with stand-up collar with button for fastening and sleeves that decorated with frills. - Linen doublet with slits and linen lining. Fastening with 6 buttons on the front. - Wool coat with puffed sleeves and linen lining. It is knee-length and decorated with contrast trimming. 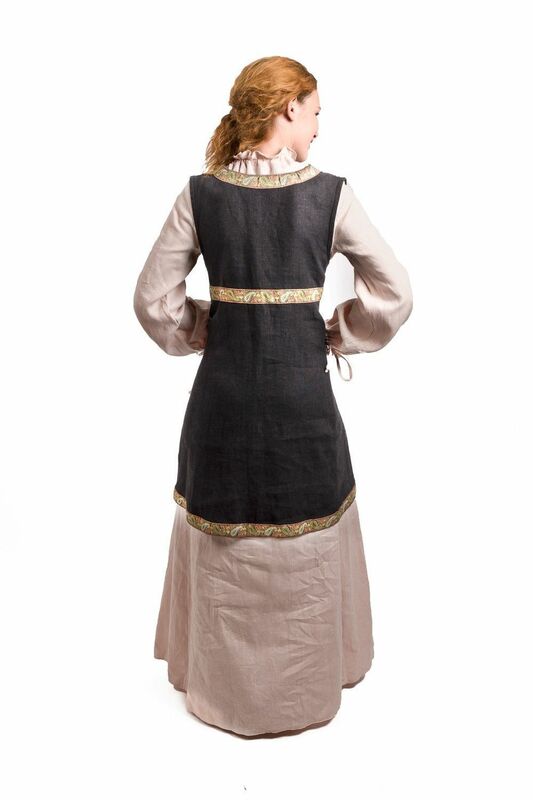 - Woolen pants with linen lining and heel straps We make such perfect medieval outfit according to customer’s parameters and wishes. All eyelets are sewn around by hands. Lacing is handcrafted as well. We’ll ask your measurements once order is placed. The wished colour combination and other regards, please send us to [email protected] ..